The attack on the Israeli-occupied Golan Heights, just past midnight, marked the first time Iranian forces have hit Israel from Syria, where they have deployed along with Iran-backed Shi’ite militias and Russian troops to support President Bashar al-Assad in the country’s civil war. 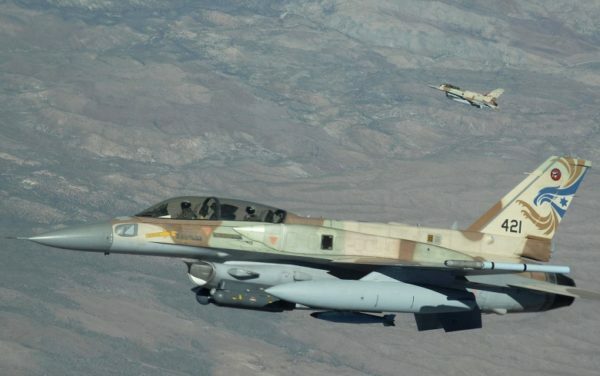 Dozens of Israeli missiles hit a radar station, Syrian air defense positions and an ammunition dump, Syrian state media said, underscoring the risks of a wider escalation involving Iran and its regional allies. “I hope we finished this chapter and everyone got the message,” Israeli Defence Minister Avigdor Lieberman said at the Herzliya security conference, near Tel Aviv, on Thursday morning. Israel said 20 Iranian Grad and Fajr rockets were shot down by its Iron Dome air defense system or fell short of the Golan targets. The Quds Force, an external arm of Iran’s Revolutionary Guards, carried out the launch, Israel said. “It was commanded and ordered by (Quds Force chief General) Qassem Soleimani and it has not achieved its purpose,” military spokesman Lt.-Col. Jonathan Conricus told newsmen. Israeli schools in the Golan Heights opened as usual on Thursday morning, after sirens had sent residents to shelters during the night. “I do not reside on the border of New Zealand-Australia. We are located here facing Syria and Lebanon and this is the reality which we will overcome together, especially with the Israel Defence Forces,” said Alex Gudish, a Golan settler. Expectations of a regional flare-up were stoked by U.S. President Donald Trump’s announcement on Tuesday that he was withdrawing from the Iranian nuclear deal. Hours later, Israeli rocket rockets targeted a military base in Kisweh, a commander in the pro-Syrian government regional alliance said. The Trump administration cast its hard line against the Iranian nuclear deal as a response, in part, to Tehran’s military interventions in the region. Syrian state television broadcast footage of its air defenses firing, and playing patriotic songs. Damascus residents described explosions in the sky from air defense systems.